Voters will likely face two choices about energy on the November ballot. One will increase their choices. The other will limit them. Voters will likely face two energy-related initiatives on the November ballot. One will increase their choices. The other will limit them. Question 3, which voters overwhelmingly approved in 2016, would require the Legislature to end NV Energy’s monopoly. As a constitutional amendment, voters must approve it again this year for it to be enacted. Under Question 3, the Legislature must establish a competitive energy market. This would allow consumers to choose electricity providers just like they shop for an internet or cable provider. NV Energy would maintain the power lines and other infrastructure. Texas has had energy choice for years, and it works smoothly. Consumers go to a website, enter their ZIP code and choose from among dozens of plans. They can select an option based on what’s most important to them, such as price or source. When businesses compete for business, you win. The best way to tell that this initiative will save you money? NV Energy will spend $30 million trying to preserve its monopoly. Question 3 is all about choice, but another measure likely to appear on the ballot would limit those choices by hiking Nevada’s renewable portfolio standard to 50 percent. Last week, supporters of that constitutional amendment turned in more than double the number of signatures needed to qualify for the November ballot. 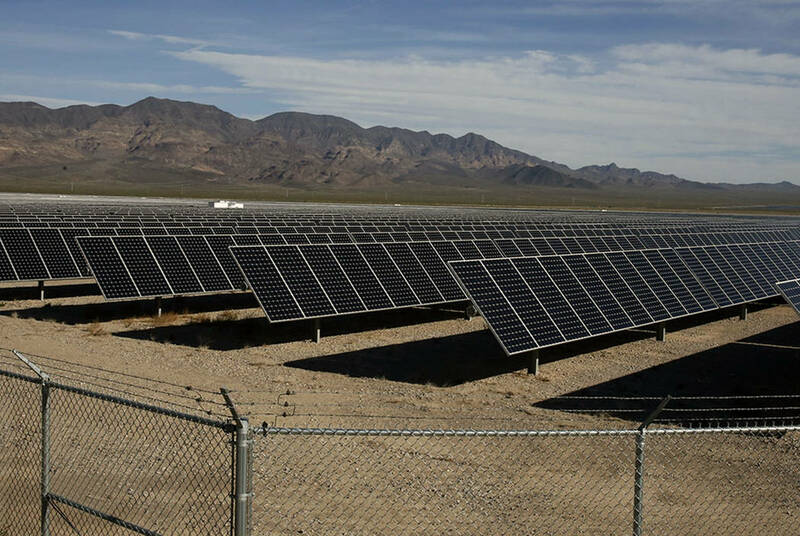 Nevada’s current RPS requires 25 percent of power to come from renewable sources by 2025. If voters approve this new proposal in 2018 and 2020, that number will double. By 2022 — just 14 months after Election Day — 26 percent of power would have to come from renewable sources. By 2030, that would increase to 50 percent. So much for choice. This initiative would undermine Question 3 and the ability of consumers to pick the plan that best suits their needs. If renewable energy were a superior product and could compete on price, it wouldn’t need government mandates to prosper. A similar proposal reached Gov. Brian Sandoval’s desk last session, although it required only a 40 percent increase by 2030. His articulate and thoughtful veto message contained similar concerns about its interplay with energy choice and how it would hurt consumers. There’s also another concern: price hikes. “If these aggressive new energy policies are enacted, it is the ratepayer who bears the risk of increased rates,” wrote Gov. Sandoval. If consumers want to pay more for renewables, Question 3 will let them. But voters shouldn’t limit their neighbor’s choices by mandating stricter renewable requirements.